My culinary herbs grew really well this year and it would be a shame not to preserve them for use in the coming months. Herbs can make such a difference to meals cooked during the winter, when we are using much less fresh and more preserved ingredients. Capturing the flavor and aroma of the herbs is key and there are several ways I like to do it. For the truly aromatic herbs, such as rosemary, sage and thyme, I use the dehydrator, where their flavors becomes concentrated. I store the dried herbs in a jar in the cupboard. I have also had good success hanging rosemary, thyme, lavender and sage upside down to dry in a cool dry spot. I have mine hanging on the back of my kitchen door. 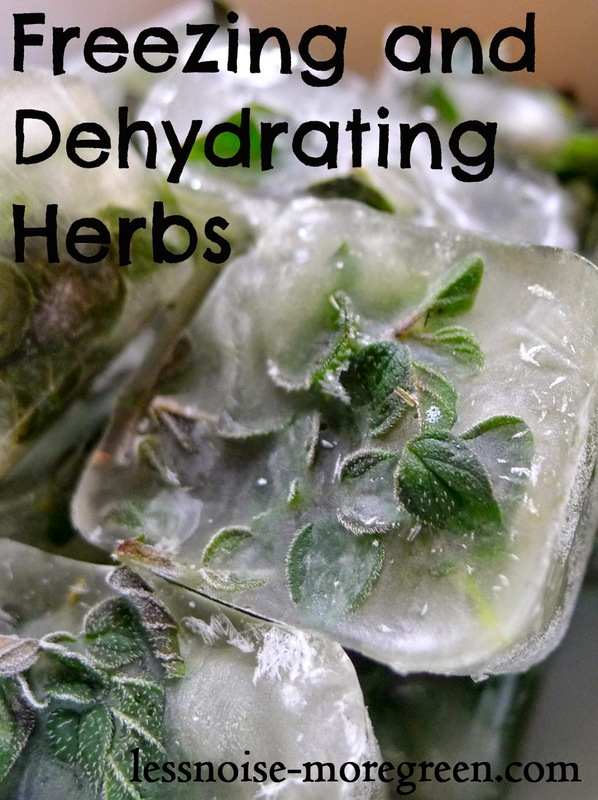 The flavor of other herbs, such as basil and oregano, are better preserved through freezing and that is what I did this week using ice cube trays. After the trays are filled with the herb, I pour hot water over them and freeze. Once the cubes are frozen, I empty them into a labeled freezer bag. When I add a cube or two at the end of cooking a soup, I'm always amazed at the flavor. My eggplants are still producing fruit and I am diligently harvesting and preserving them. This week I have been peeling the fruit, slicing it into rounds and broiling them for about five minutes each side. I then stick the baking sheet in the freezer until the rounds are frozen. Using a spatula, I put the rounds into a freezer bag and keep them in the freezer. These rounds will work in a winter moussaka, lasagna or eggplant parmesan. For more information on dehydrating and freezing as preserving methods, listen to the podcast of my radio show "For the Love of Gardening".